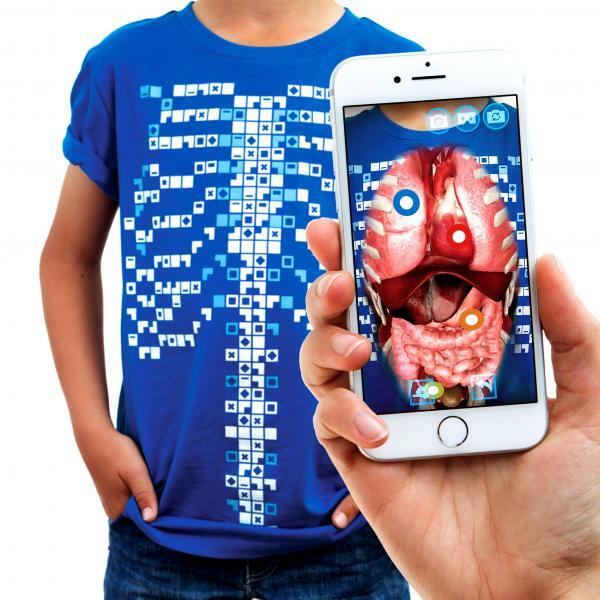 Virtuali -Tee - purchase a t-shirt and download free app that allows users to explore the human body with points on the t-shirt! 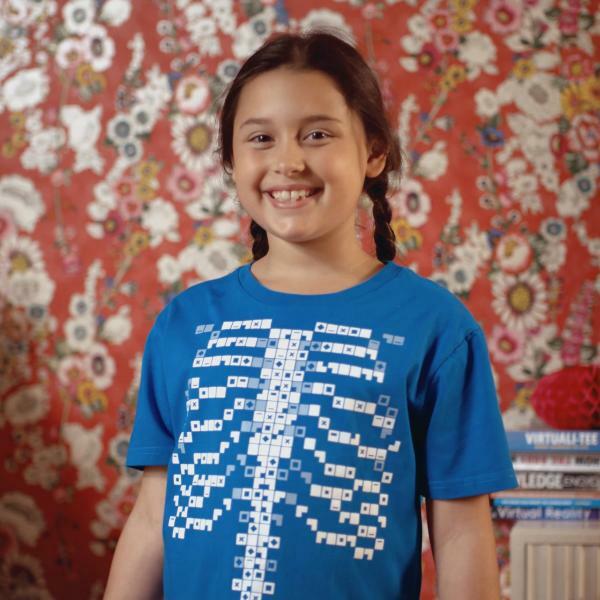 Point your phone at the t-shirt and open a portal to another reality – the world under your skin! 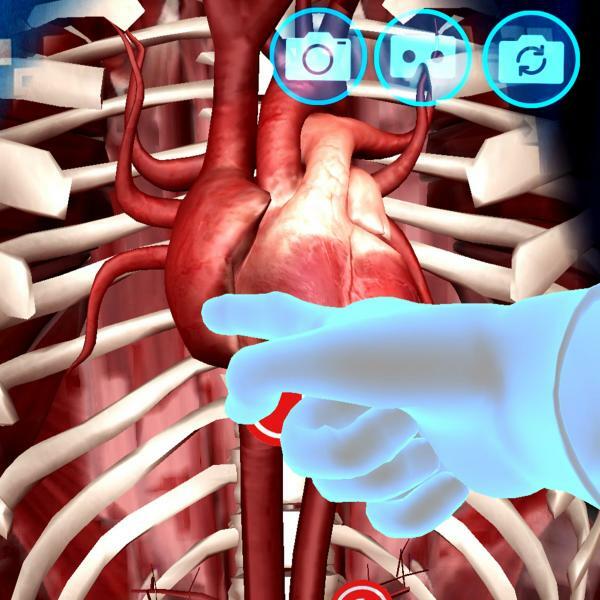 View it through our free Virtuali-Tee app on your phone or tablet to unlock the portal into the body. 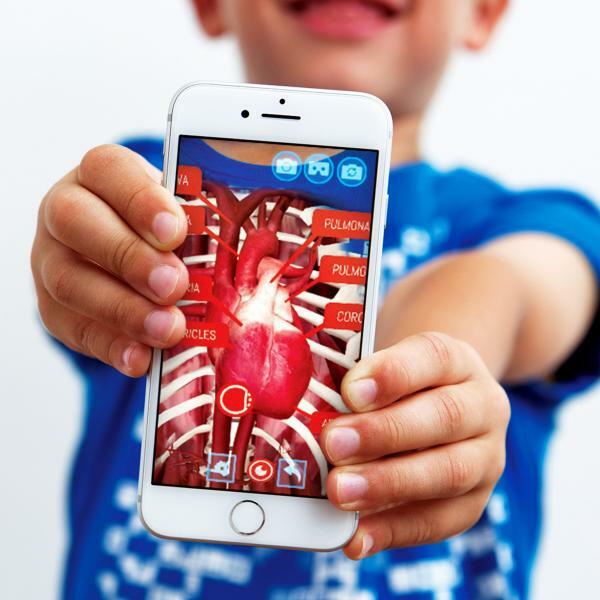 Jump into the pumping heart of an anatomical adventure that brings learning to life using augmented reality technology. Or pop your phone into a pair of virtual reality goggles and immerse yourself entirely in this new kind of anatomical adventure. 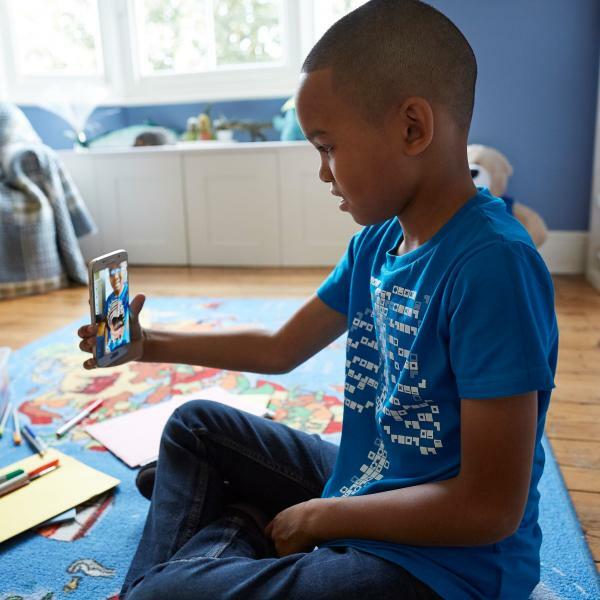 Surprise your friends and share the fun or explore alone in selfie mode with effortless learning that feels like play. It’s technology with guts! And all this at a price no higher than a high-quality tee. Different sizes and colours available.